How to Install Augustus properly ? Is there consensus on what constitutes a good BUSCO score? run_BUSCO.py running problem in UBUNTU-16.04? 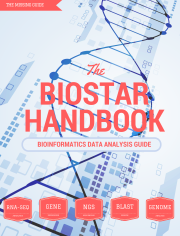 Is BUSCO really better than CEGMA for genome assembly quality evaluation? How can I change the default path to which SRA files are downloaded? A: How can I change the default path to which SRA files are downloaded? Yes, I literally had to run the code myself to find out... something did not seem correct! I already contacted them but they said this issue is not contamination but they cannot explain why.